You are currently browsing articles tagged State Fair Dallas. Hot summer days are almost over, nice cool weather is giving us an opportunity to go out more in Dallas and enjoy the change of the fall. New fall items are in the stores and Dallas neighborhoods started to change the decorations to fall colors slowly. It is a very exciting weekend in Dallas because many festivals and events are starting in Dallas this weekend but we can still see Dallas Homes for Sale in the morning, just let me know… I will be happy to help you with Plano homes for sale, Plano homes for lease, Carrollton homes for lease and sale, McKinney, Frisco homes for Sale and lease and other DFW areas like Murphy, The Colony, Richardson, Fairview, Farmers Branch, Addison, Coppell and surrounding neighborhoods. Let’s plan our weekend…. 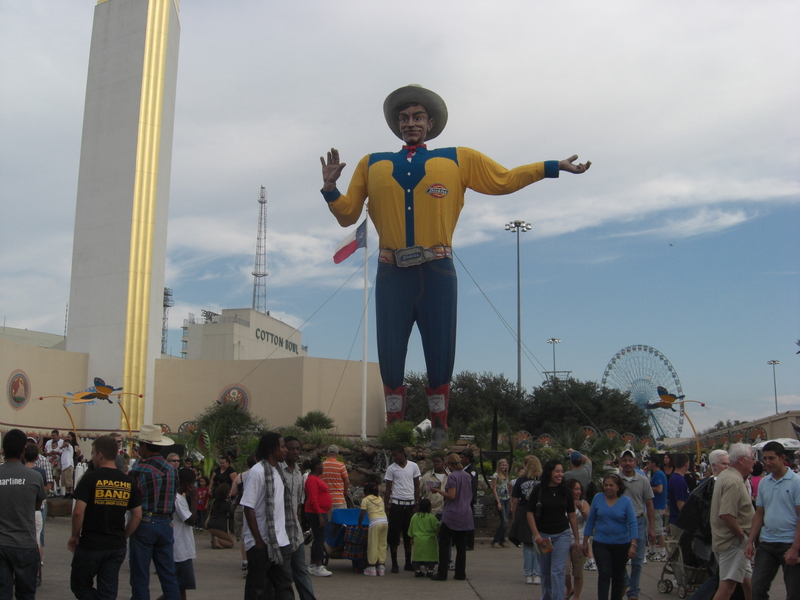 The biggest festival Big and Bright the State Fair of Texas is proudly Opening their doors in Dallas again and the BigTex is celebrating the 60th Birthday this year. Join the Party!!! You will enjoy concerts, exhibitions, great Texas style food and many more with your kids in 277 acres park and its cultural, educational and sport facilities play host to more than seven million annual visitors. There is plenty of room for you here, too. After all, this is TEXAS and as you already know everything is bigger in Texas. You will enjoy the opening day ceremony, sparklers and FREE Stuff…This parade is FREE, too. The O’s John Pedigo and Taylor Young are alt-country band the O’s. They will be on the stage on Saturday September 29th, noon, 1.45pm and 3.15pm. Kevin Costner and Modern West will be on stage on September 29th 8.30pm. Enjoy the nice melodies under the starts on nice cool Saturday night. Another great festival is Greek Food Festival of Dallas. This celebration of Dallas is 56years old. You will enjoy the best Greek Food in Dallas at this festival from Spanakopita to Gyro. There will be traditional music, dancing, cooking demonstrations, face painting, arts and crafts, a marketplace where you can purchase art as well as more tasty treats to take home. Greek Festival Starts in September 28th Friday at 4pm to 11pm, September 29th Saturday 11am to 11pm and September 30th Sunday 11am to 11pm. It is the best time to go to Dallas Arboretum for your fall family pictures. You will enjoy 150,000 blooming falls flowers and chrysanthemums, a hay bale maze and of course the annual pumpkin village constructed out of more than 50,000 pumpkins and gourds. Take your whole family you will catch the best shots in Dallas. The Dallas arboretum hours are every day from 9am to 5pm. Colorful production of Cirque du Soleil Kooza is here in Dallas revisiting its roots with a showcase of both soaring acrobatic performances and the fine art of clowning. You will enjoy seeing the limits of human being’s flexibility and endurance. You will be surprised for sure!!! Kooza hours are September 29th 8pm, September 30th 1pm and 5pm. There are many fun things to do in Dallas this weekend for everyone…Whatever we choose to do in this weekend; we will all enjoy the nice weather of fall nowadays in Dallas!!! !